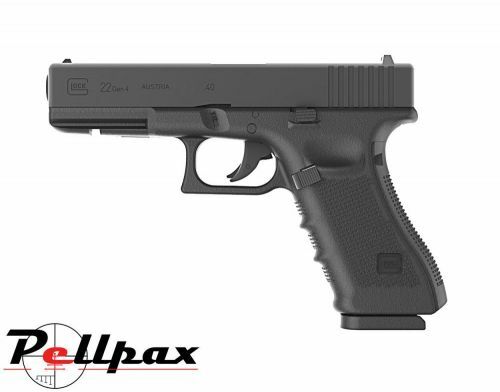 This pistol is made to the specifications of the live firing pistol, the Glock 22 Gen4 is made in the same factory with the same parts to provide the same world renowned Glock reliability. The pistol features a metal slide and magazine and the grip is made from reinforced polymer built around a metal frame, just like the real thing! This pistol fires BB's with great accuracy and is non-blowback for less recoil and a much larger shot count. The pistol is finished in black and is textured for enhanced precision. The pistol is fitted with an under mounted rail for accessories like lasers or torches. Add this item to your basket & spend an extra £395.01 to apply for finance.